To add a sub-account to your account, click the "Add Project" button. Click "Edit" buttom to give sub-account's authority. Shared assets:Sub-accounts will load administrator's assets when login,and they can manage and use the administrator's assets to submit jobs directly. Delete job:Sub-accounts can delete jobs in the render list. Use balance:Sub-accounts can use administrator's balance to render when balance is not enough. Hidden balance and transfer records:Sub account will no longer view the balance info or transfer records after login. 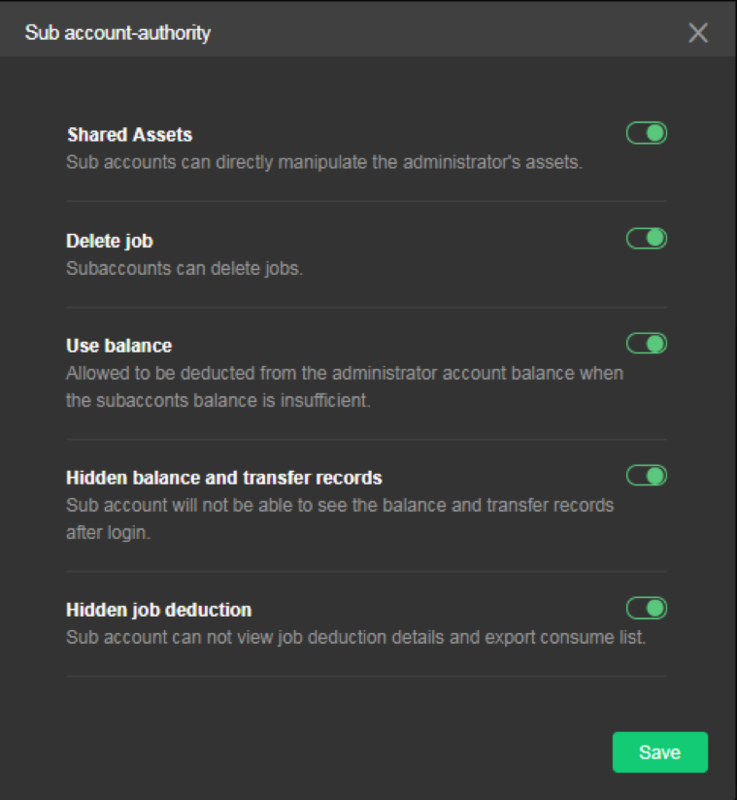 Hidden job deduction:Sub-accounts will no longer view job deduction details or export comsume list. Administrator can transfer balance to sub-account. Administrator can transfer balance from sub-account. Click "Modify" to edit sub-accont info. There is currently mechanism for deleting users from adminstrator. 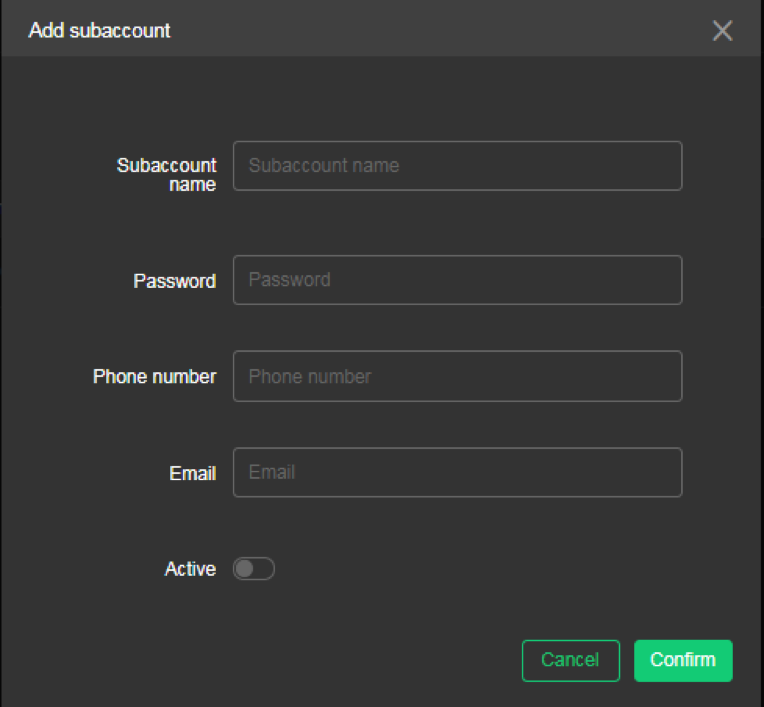 However,we advice changing a sub-accoount's status to Inactive will not allow login any more. If you have any question, you can send email to service@foxrenderfarm.com.